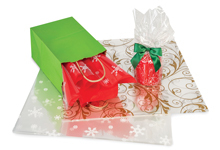 Extra large cellophane bags for gift baskets. 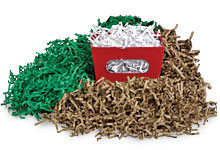 Crinkle cut shredded paper in extra large 40 lb bulk cartons! 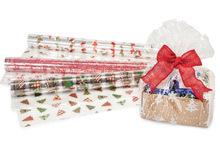 Ultra clear cellophane rolls for gift baskets and food wrapping. 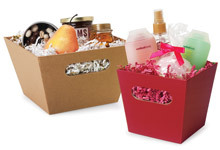 Sturdy solid color gift basket containers with die cut handles. 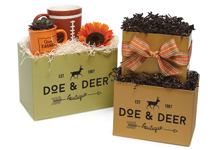 Gift basket boxes in solid colors easily coordinate with any theme. 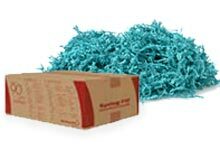 Fine cut shredded paper in large 10 lb bulk cartons! 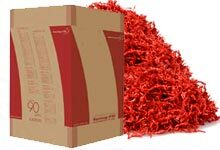 GreenWay® crinkle cut shred in large 6 pound cartons. 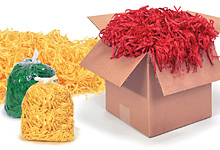 Clear packing tape, shipping tape and gift wrapping tape in a variety of sizes. 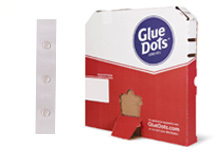 Removable glue dots are pressure sensitive adhesive dots for crafts and gift baskets. 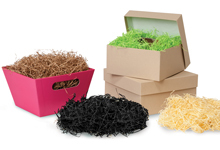 Shredded Aspen Excelsior Wood for gift baskets! 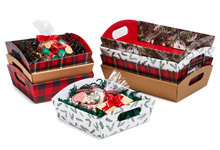 Sturdy cardboard insert benches for gift basket boxes to support your products! 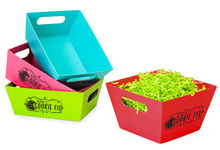 Tall market trays for gift baskets in solid matte colors. 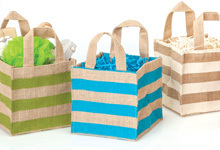 Burlap gift basket containers with cute stripes and handles for easy carrying. 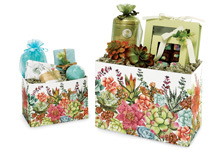 Folding beveled gift basket containers with die cut handles. 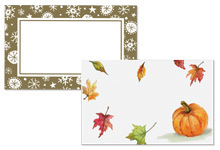 Market Trays in many designs for gourmet and gift baskets. 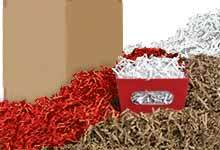 Recycled GreenWay® crinkle cut shred in large 24 pound cartons. 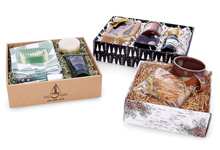 Unique bevel shapped gift basket boxes for any occasion. 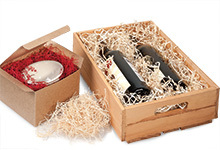 Corrugated gift basket trays are perfect for gift sets or traditional gift baskets. 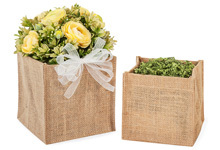 Durable burlap basket containers with a water resistent liner! 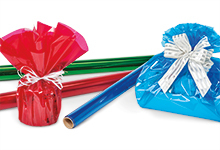 Transparent color cello rolls to wrap baskets, gifts, and more! 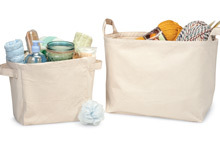 Cloth Containers with handles make great gift baskets or storage containers. 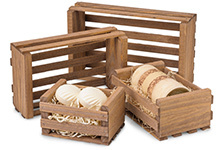 Small, handmade wooden crates are perfect for gift sets! 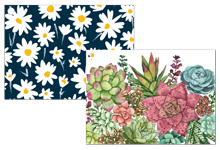 Bright Color Gift Cards pair perfectly with matching basket boxes! 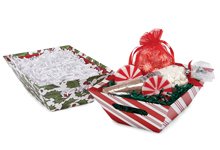 Holiday themed gift basket boxes make terrific Christmas gift baskets! 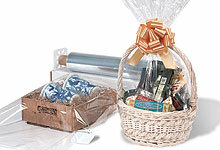 Nashville Wraps has all the supplies you need to build the perfect gift basket! 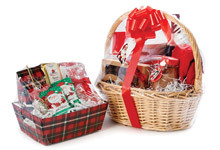 We can help you grow your gift basket business with unique & beautiful gift baskets supplies. 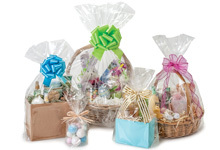 Browse themed basket boxes, market trays, shredded paper filler, shrink wrap, cellophane basket bags, ribbon & bows. Dozens of options! 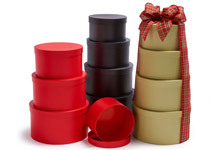 These containers come in a variety of colors, prints & themes for holidays and special occasions! 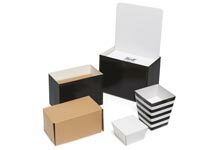 Reusable & affordable so the recipient can use again for storage or re-gifting. 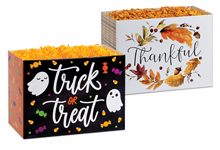 Economical & easy to store - these wholesale basket containers are cheaper than traditional baskets and arrive flat or stackable for efficient storage. 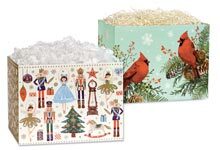 From crinkle cut and tissue paper shreds to Springfill fine cut paper and wood excelsior, adding filler to your basket containers is important for support and to add color and texture. 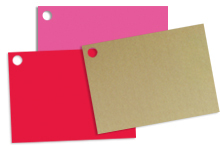 Nashville Wraps offers so many options in dozens of colors and various sizes to fit your needs from 40 lb cartons to 8 oz bags and everything in between. 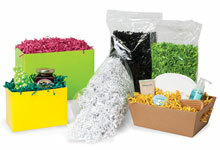 Browse our entire line of shred! 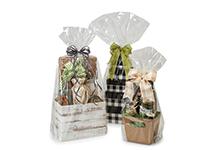 Finding the perfect size bag to showcase your gift baskets is easy with all the options in cello basket bags or poly bags. 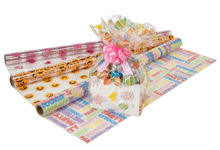 You might prefer clear cello rolls or cello rolls with printed designs. All of our cello is made in the USA, crystal clear and of the highest quality. 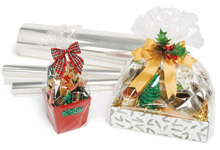 Find all the shrink wrapping supplies you need for sealing your gift baskets. 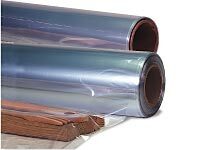 We carry shrink bags, wrap and film in many sizes. 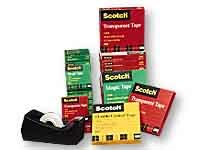 We offer both small and large packs and rolls. 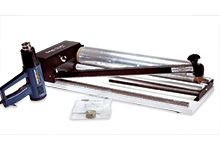 Shop top quality shrink wrap equipment and professional heat guns. 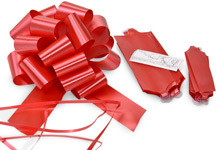 Top off your gift baskets with a beautiful bow or ribbon , like easy to use pull bows or make your own bow with any of our organza, satin or fabric ribbons. 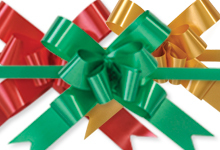 Promote your basket business with custom printed ribbon and labels. 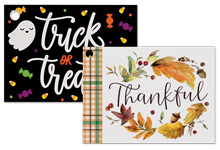 Call us at 1-800-547-9727 to talk to one of our custom print specialists today! 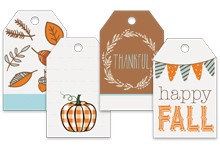 Remember to add a cute gift tag or enclosure card ! 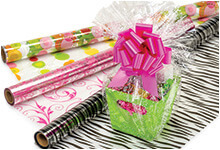 Shop Nashville Wraps for the best selection for your gift basket business. We are here to help you succeed. 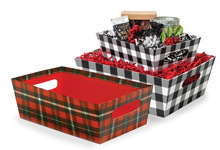 Check out our gift basket blogs & themed how-to videos!